Nothing says spring like a bouquet of freshly cut tulips, but it is discouraging to wake up the next day to a vase of wilted tulips. The common myths -- that tulips do not endure as cut flowers and that wilting is natural --- are not true; if properly cared for, fresh tulips can last for 7 to 10 days. It's possible to revive wilting tulips, but it is best to prevent the wilting in the first place. Cut tulips make a lovely spring bouquet. 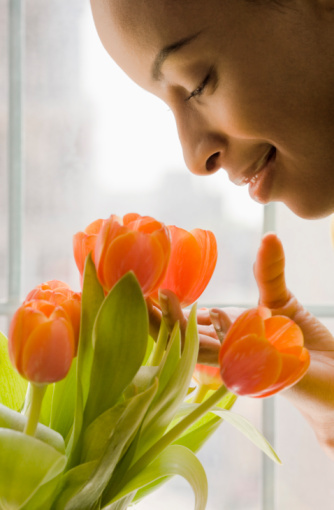 Fill a clean vase with lukewarm water for your freshly cut tulips. Add fresh flower preservative to the water. Mix according to package directions. Cut off about ½ inch from the stems, making diagonal cuts with garden shears. Keep the stems under running water when cutting to keep air from getting into the stems. 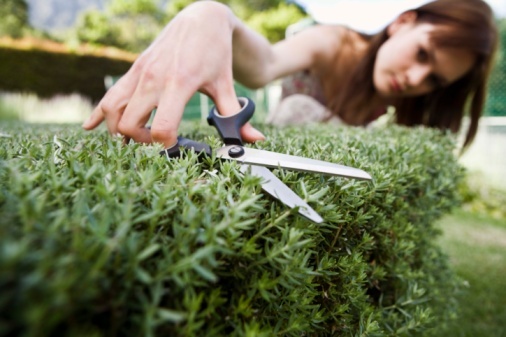 Remove the lower leaves from the stems by pulling them off gently or clipping with garden shears. Place the cut tulips into the vase of water with the fresh flower preservative. Cut 1 inch from the stems every 3 to 4 days to maintain water flow. Clean the vase and add fresh water when you recut the stems. Wrap tulip stems tightly in a paper, creating a cone around them. The blooms should not extend above the top of the cone. Secure the paper with rubber bands. Immerse the entire stem portion in lukewarm water. Place the tulips under a light. Leave the tulips for 2 hours. Remove the paper and replace the tulips in the vase of clean water. How Long Can You Keep Daisies & Carnations in a Vase?